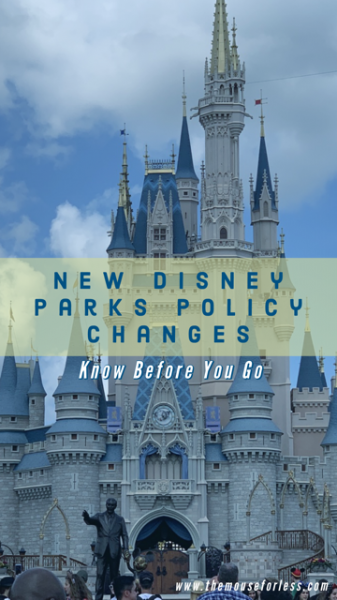 If you have a vacation planned for either the Walt Disney World or Disneyland Resort here soon, there are some new rules that you are going to have to abide by moving forward. These major policy changes can impact your trip in a very real way. First things first, beginning May 1, smoking (and vaping) will no longer be allowed at any Walt Disney World or Disneyland theme parks, water parks, ESPN Wide World of Sports Complex or Downtown Disney in the Disneyland Resort. There will be designated smoking areas available outside the entrances of these areas, as well as at Disney Springs. In addition, there will be designated smoking areas available at the Disney Resort Hotels for those who have room or dining reservations. 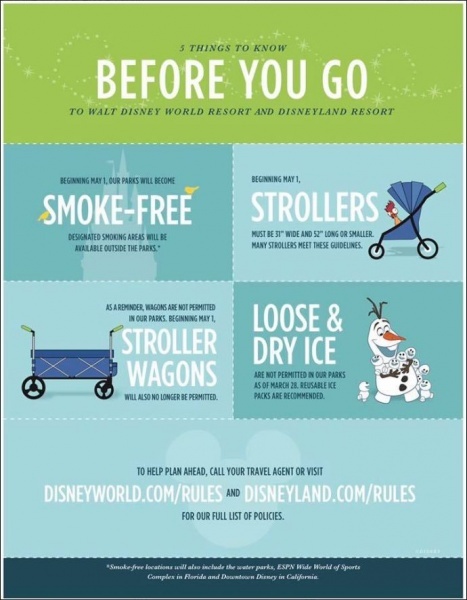 The second major change relates to strollers. Again, beginning May 1, strollers can be no larger than 31″ (79cm) wide and 52″ (132cm) long and those that appear larger will be measured. Also not permitted beginning May 1 will be stroller wagons. These had initially been allowed because they were able to be pushed. These stroller changes are being made to help ease congestion in the parks, as well as help with guest flow. Finally, effective today, those who bring in coolers or cooler bags will no longer be able to bring in loose or dry ice. It is recommend that if you need to use some sort of “ice” you use re-useable ice packs instead. In addition, complimentary cups of ice are available at dining locations inside the parks if needed. Guests can bring in ziploc bags filled with ice. If you have a trip coming up in the near future, make sure you keep these new rules in mind moving forward. 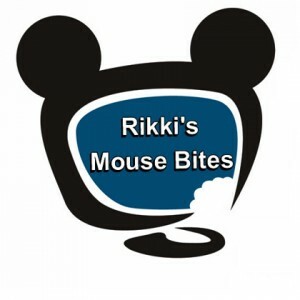 What do you think about these changes? Let us know in the comments below or on Facebook or Twitter!